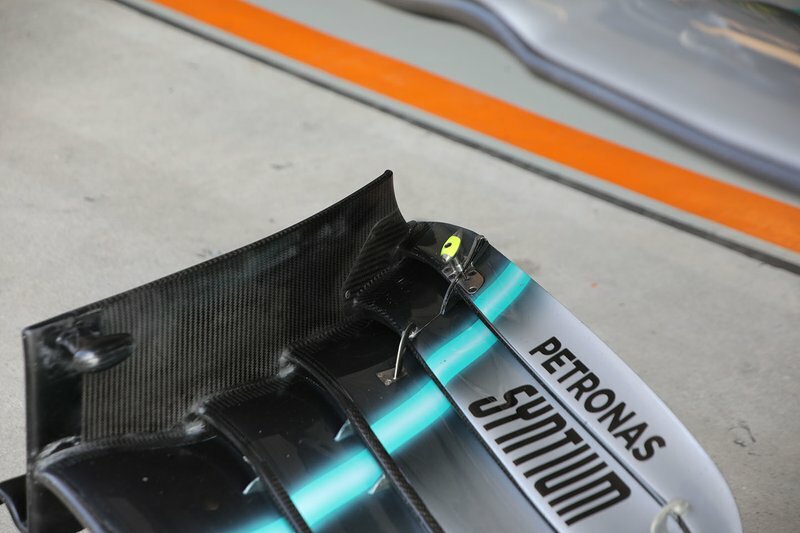 Mercedes had to modify its new front wing prior to opening practice for the Chinese GP following an FIA ruling that it did not comply with the rules. The team's new front wing had been seen for the first time on Thursday, featuring a reworked, shorter endplate. This endplate exposed the profile of the uppermost element, aiming to strengthen the outwash effect produced by the wing. 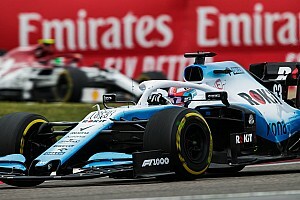 However, the 2019 FIA technical regulations go some way to forbidding this practice, stating that those profiles must be bounded by a "virtual endplate surface". 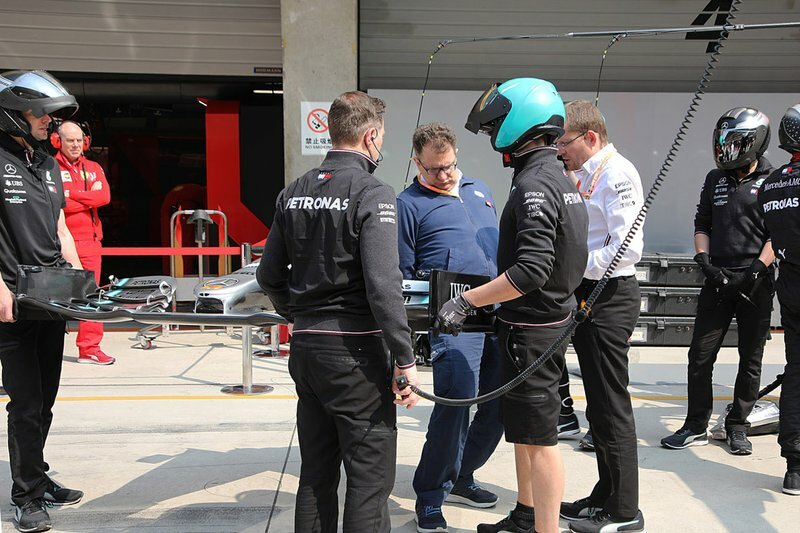 Giorgio Piola's image from Friday morning (below) shows FIA technical chief Nikolas Tombazis inspecting Mercedes's new wing concept. As Article 3.3.6 states in the current technical regulations, "once the front wing profiles have been defined, they must be trimmed by the virtual endplate surface defined in Article 3.3.5, and the portion of the front wing profiles outboard of that surface must be discarded". Article 3.3.5 relates to the new endplate geometry dictated by the regulations new for 2019, defining a simpler design to limit the amount of airflow turned around the front wheel. This also states that the endplate itself must "fully enclose a minimum of 95% of the virtual endplate surface", which allows for small cutouts - which teams have done typically on the top trailing edge corner. 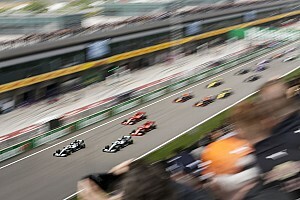 The wording of those two rules creates a possible grey area, which Mercedes attempted to exploit. 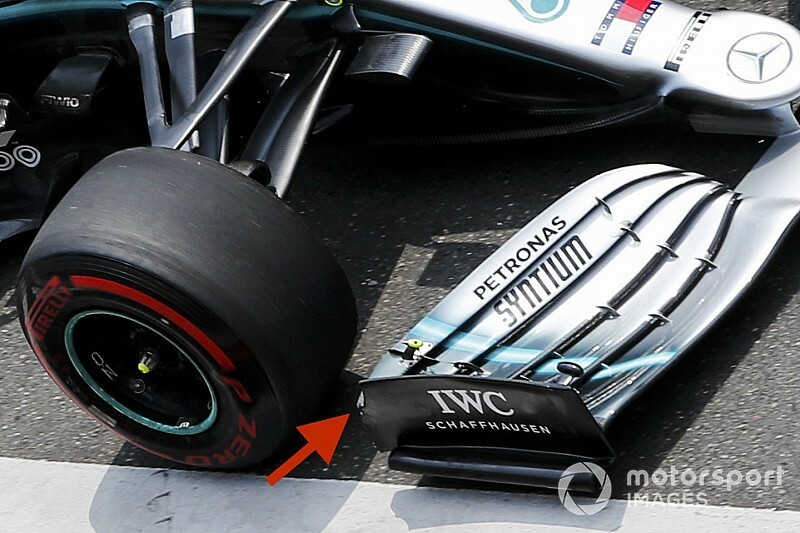 Asked by the FIA to make changes prior to FP1, Mercedes modified the outboard side of the uppermost element, cutting off the corner to ensure that none of the profile remains exposed. This satisfies the FIA, which was also concerned that the exposed wing may be conducive to punctures should the wing become damaged. It is believed that Red Bull attempted to exploit this grey area too earlier in the season, using a small amount of the exposed top element in conjunction with a rectangular cutout at the endplate's trailing edge. 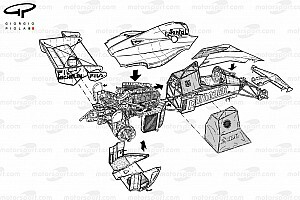 The FIA asked for this to be removed, and the team's current specification endplate hence features no cutouts. After the changes made, Mercedes ran in an approved configuration for both sessions - Valtteri Bottas headed FP2 fractions ahead of Ferrari's Sebastian Vettel.